Invitation to the Graduation ceremony of the Class of 1924 at Greenville High School, Greenville, Maine. 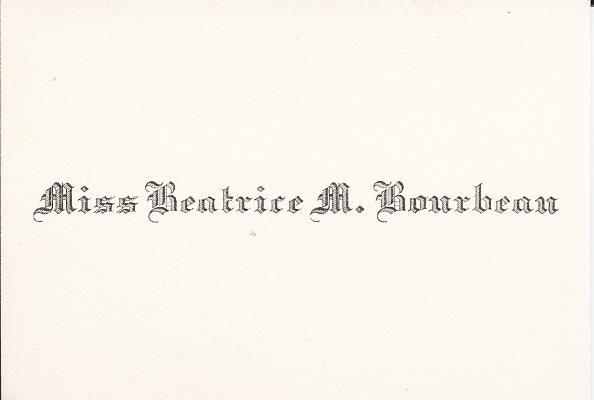 This invitation was sent by senior Miss Beatrice M. Bourbeau. 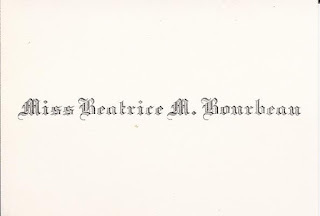 Beatrice M. Bourbeau was born about 1907, daughter of Louis Leon Barbeau and wife Marie Gracia Elzire (Morin) Bourbeau of Greenville, both Quebec, Canada natives. She married Philip E. Gaudet of Greenville, Maine, on 30 June 1925. Greenville, Maine, located on Moosehead Lake, is approximately equidistant from the shopping centers of St. George, Quebec, and Bangor, Maine.